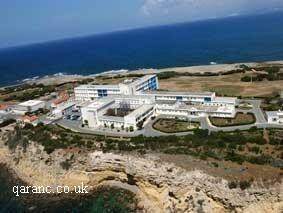 Akrotiri opened on the 9 February 1957. It was a temporarily hospital made from prefabricated material and tested the resourcefulness of the doctors and nurses. The camp, the airfield and the airport was still under construction and it was not for another six years that a permanent proper hospital would be built. The site of the first hospital is now married quarters and can be traced to Duke Street and Harding Avenue.